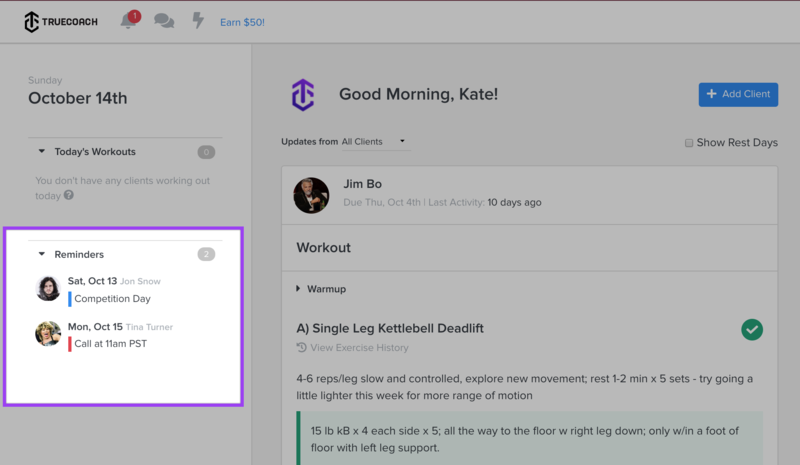 Clicking the flag in the top right corner of any calendar day will allow you to add a note/reminder for that day. We give you a few different color options to choose from which you'll see reflected on the flag next to the date upon saving. 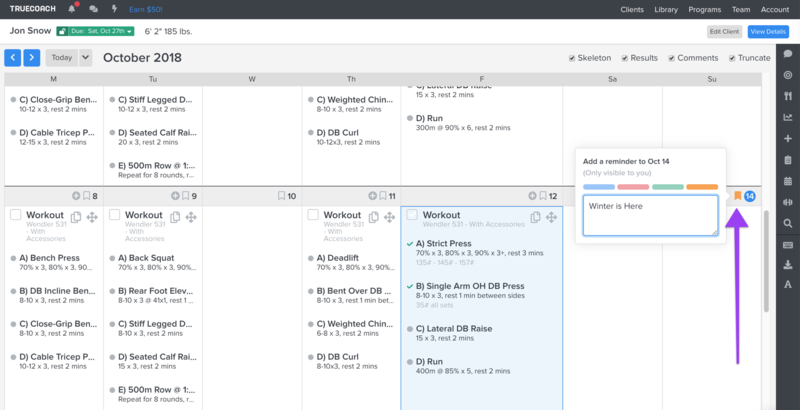 This is a great way to note your client's future plans without having to add a workout. 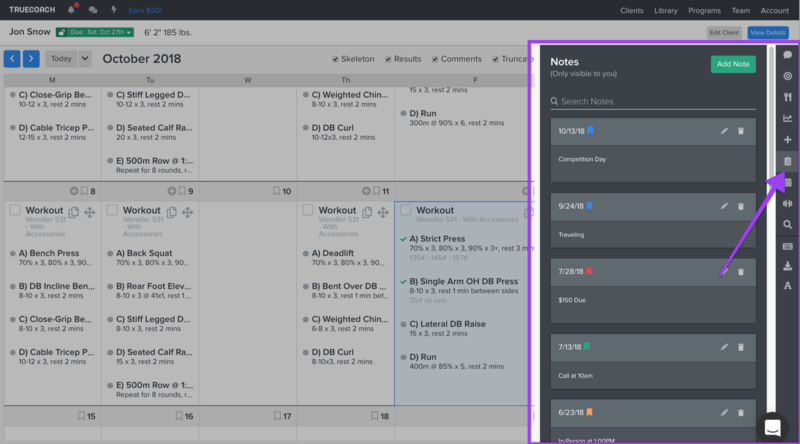 Your clients will not see these reminders on their account, so you can use this tool for private notes as well. Those labels are yours to use however you see fit for your business!